This flyer was produced by Modern Classic Motors, Reno, Nevada probably in 1967. 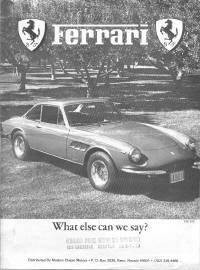 MCM was Bill Harrah's Ferrari distributorship that handled all of the dealers on the west coast. The flyer is a black and white full-line single page brochure that various dealers would have to hand out to prospective customers. 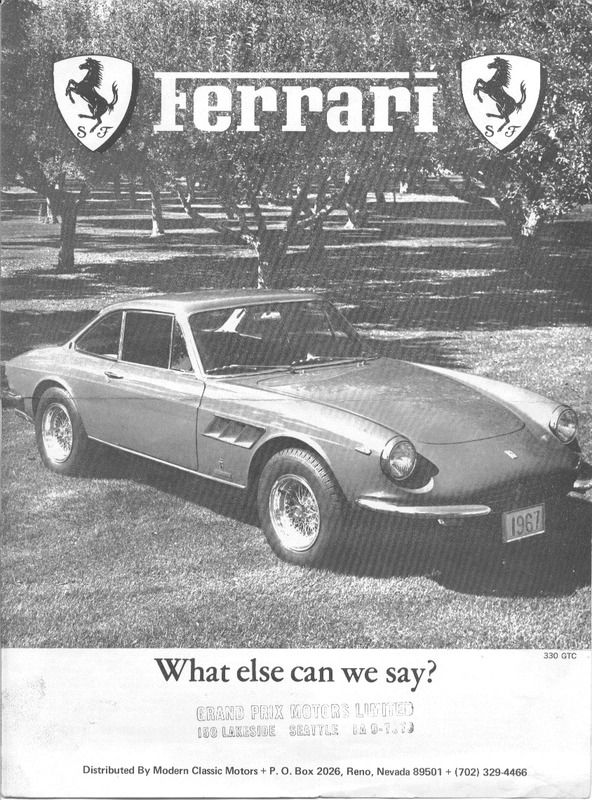 This flyer is stamped 'Grand Prix Motors' which was the Ferrari dealer in Seattle, Washington (now Ferrari of Seattle). 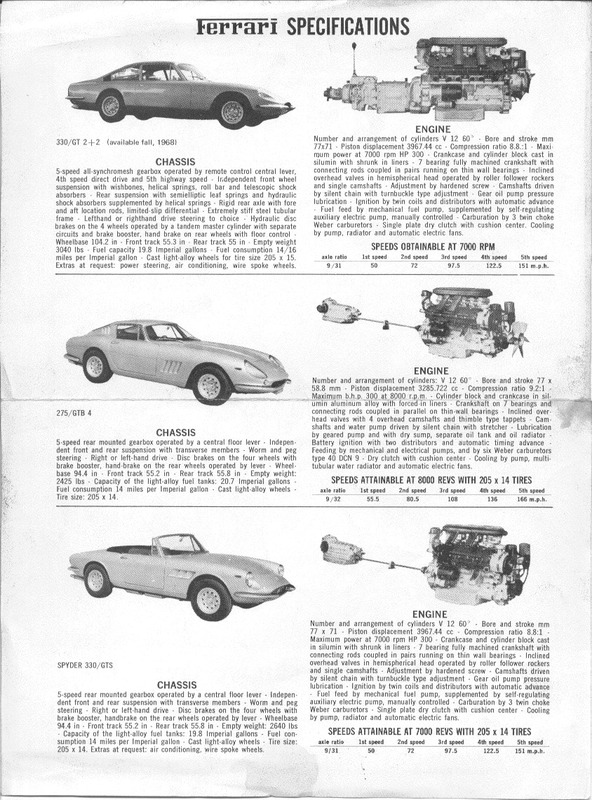 The interesting thing is that the the picture for the 330 GT 2+2 at the top of the specifications page is actually a 365 GT 2+2 with an availability date of fall, 1968. 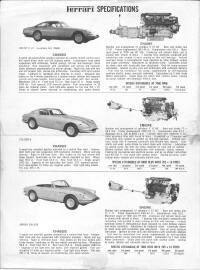 However, the caption and specifications all relate to the 330 GT.